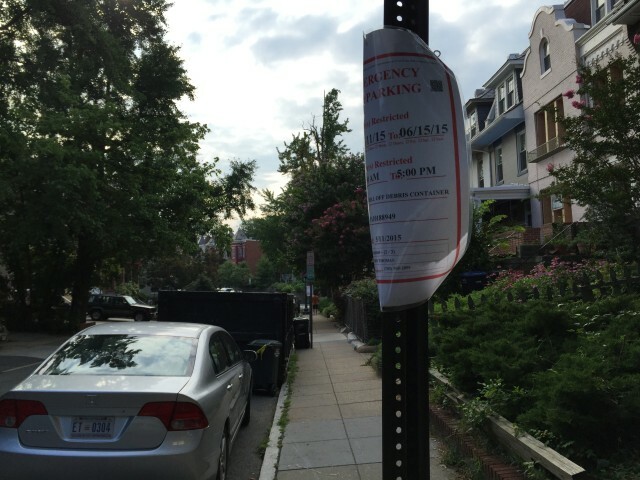 There’s construction in my neighborhood, and this rolling debris container has been parked for quite sometime – For 2 weeks past the expiration date of their emergency no parking sign. This is in Newton St NW in Mt Pleasant. I’ve tried contacting the Department of Transportation, a few days ago. And it seems nothing has been done.